Looking for Something out of the BOX? When you are looking for something out of the BOX it’s not a problem here at Bella Forte Designs! Working with the clients design team, we created these twelve playful house shaped boxes are for a unique presentation box. The interior and exterior is printed on white Iris book cloth, giving a flawless matte finish. We love printing on cloth when combining image and text, especially when clients let us use our creativity to make innovative designs! Two small, clear strips of velcro keep the box closed in the house shape. When our clients wish to present the text printed inside they can easily separate the two top pieces. 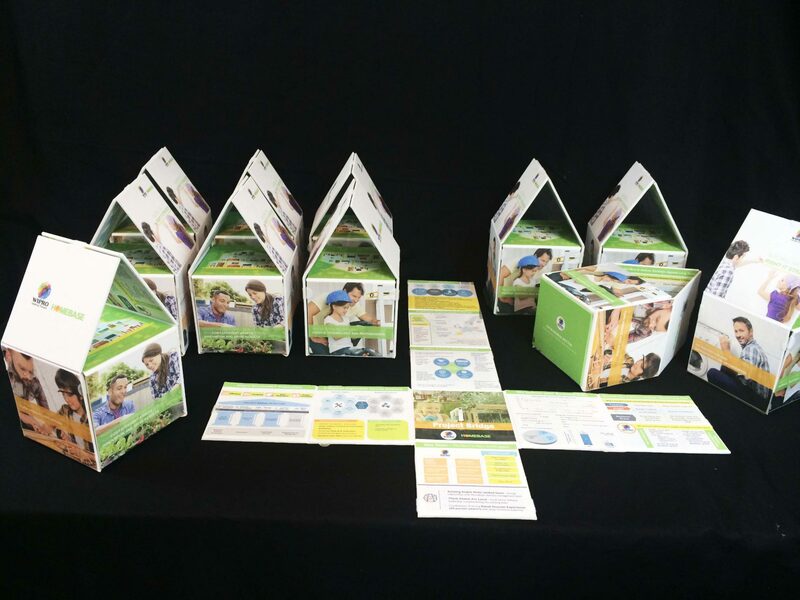 The rest of the box gently folds open revealing the full presentation material. Bella Forte Design’s PDF portfolio is full of more creative designs!